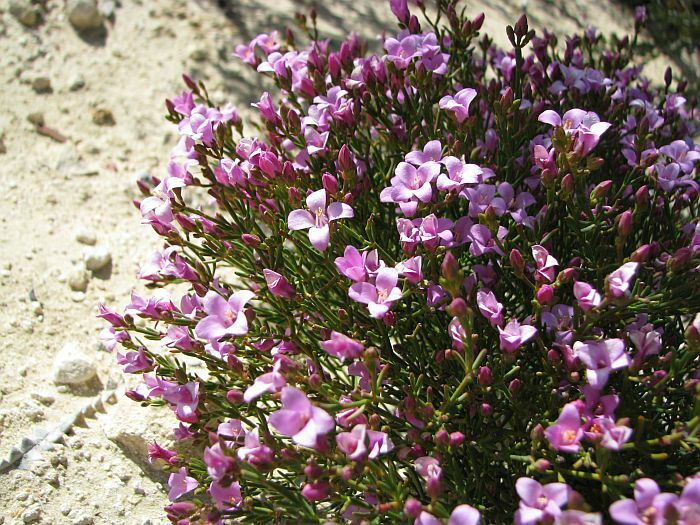 Boronia spathulata is another attractive member of the Rutaceae family and grows in a variety of habitats from the east of Esperance at Israelite Bay to spread westwards as far as Perth. 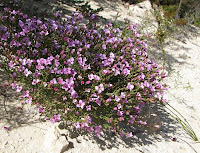 It is particularly common in low-lying areas around the coast and inland as far as the mallee region, growing in deep or shallow sand, sometimes over gravel or limestone. Growth habit is highly variable, from a few lanky stems to quite compact bushy shrubs. However age may be a factor in the development of stems, as these reasonably long-lived plants readily resprout from the base if it dies back during a hot summer or is otherwise damaged. 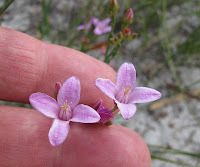 It is recorded growing to a metre (3’), but locally it is mostly less than half this in height. 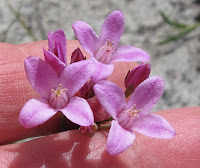 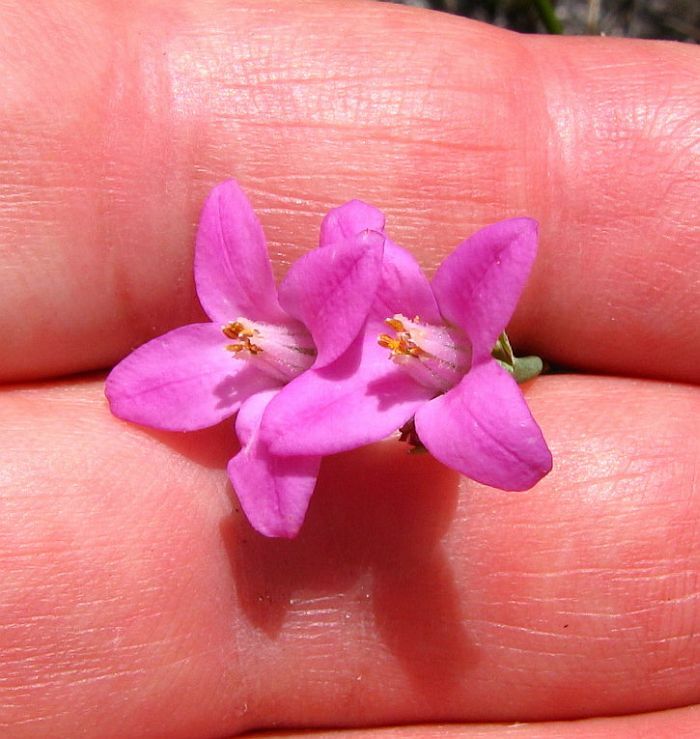 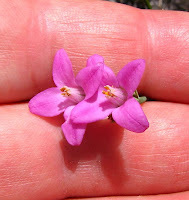 Flowers grow to 2 cm (3/4”) diameter and mostly in shades of pink (some very deep) although occasionally white. 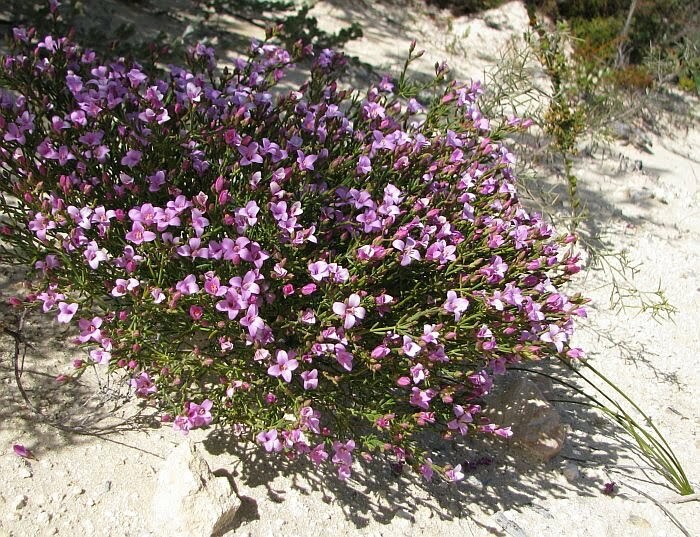 Being large and bright they stand out in their preferred sparsely vegetated habitat, like roadsides, after fires or disturbed areas. 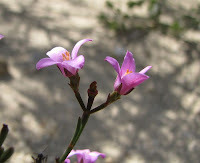 The fleshy flowers will bloom for several weeks and plants can be in flower for most of the year providing sufficient warmth and moisture is available.